The adventures of Kevin Matchstick continue in the final part of creator MATT WAGNER's classic trilogy of comics fantasy. In order to buy time for his family's ultimate protection, Kevin has made a distraction of himself. Drawing on the power of Excalibur, he creates a beacon for his enemies to find him, hoping to lure them into a trap. But the supernatural entity that appears to confront him is unlike any opponent he has ever faced and leads to an epic showdown. Can even the blazing power of Excalibur defend the Pendragon from the vengeful wrath of...a Goddess? 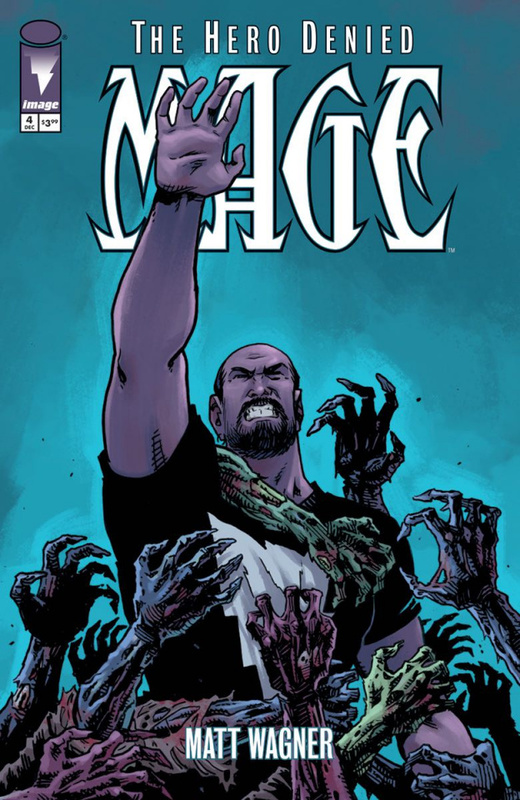 MAGE: THE HERO DENIED is a 15-issue limited series climaxing in a double-sized finale. This series will skip a publication month every four issues. THE HERO DENIED #5 returns in January after release of the TPB collection MAGE, BOOK TWO: THE HERO DEFINED, VOL. 3 in December.